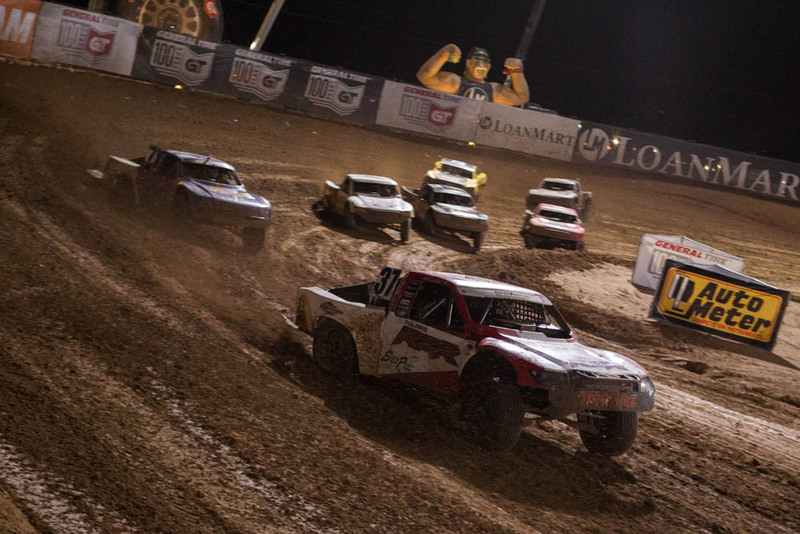 Riverside, CA 4/28/15 – It was a weekend of ups and downs for RJ Anderson and the RJ37 team in Chandler, AZ for rounds 3 & 4 of the Lucas Oil Off-Road Racing Series (LOORRS). Coming into the weekend hopes were high. 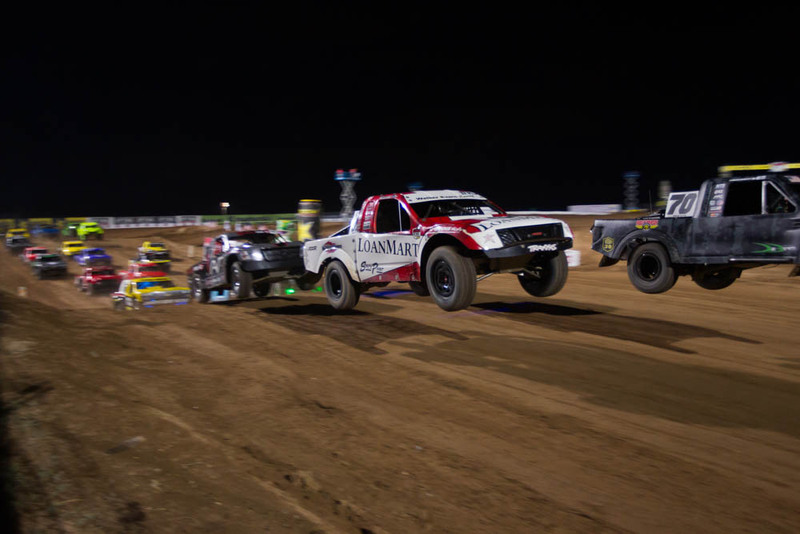 Rounds 1 & 2 in Lake Elsinore proved the team, trucks and driver were heading in the right direction with a great set up and solid performances in both Pro-Lite and Pro2. RJ and team were ready for competition at Wild Horse Pass Motorsports Complex! Practice for the weekend began on Thursday and it was good that the team got those runs in because weather would prevent them from being able to practice or qualify on Friday. 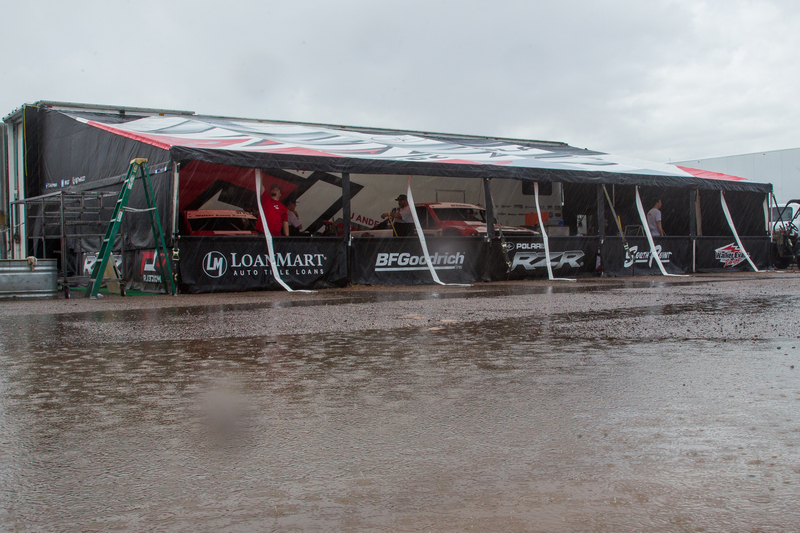 After some hard rain early in the day on Friday, officials would pull the plug on any track activity until the evenings races. This meant RJ and the RJ37 team would make all of their adjustments based on what they learned in practice the day before. 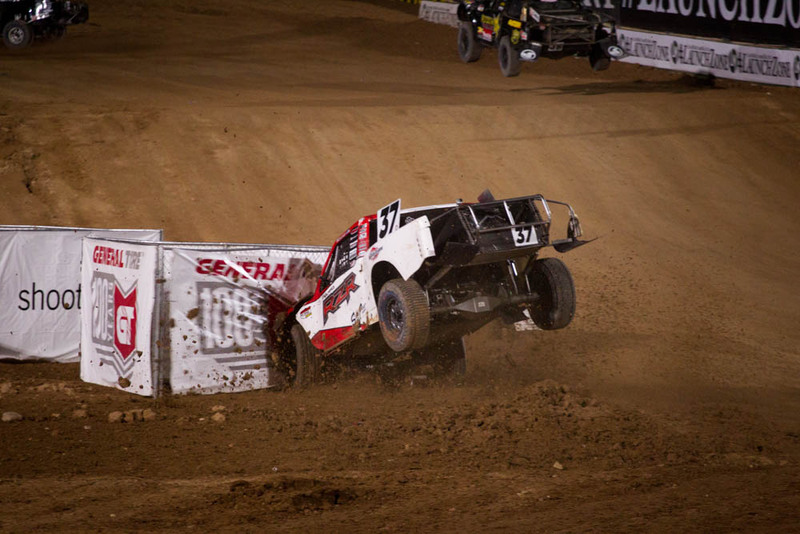 RJ would climb behind the wheel of the #37 LoanMart / SouthPoint / Walker Evans Racing Pro-Lite and since their was no qualifying LOORRS would line up the evening competitors by points standings putting RJ near the front of the pack. With the drop of the green flag RJ would waste no time rocketing towards the front where he would lead and set a pace for the first 3 laps. With a quick truck and optimal racing conditions RJ looked to be settling into a groove before bad luck would strike and a part failure would end his night on lap 4. RJ would be forced to retire early tucking the Pro-Lite in early for bed and forcing the team to get the wounded machine torn down for repairs. With the Pro-Lite back under the canopy RJ would strap into the #37 Polaris RZR / Walker Evans Racing Pro2. 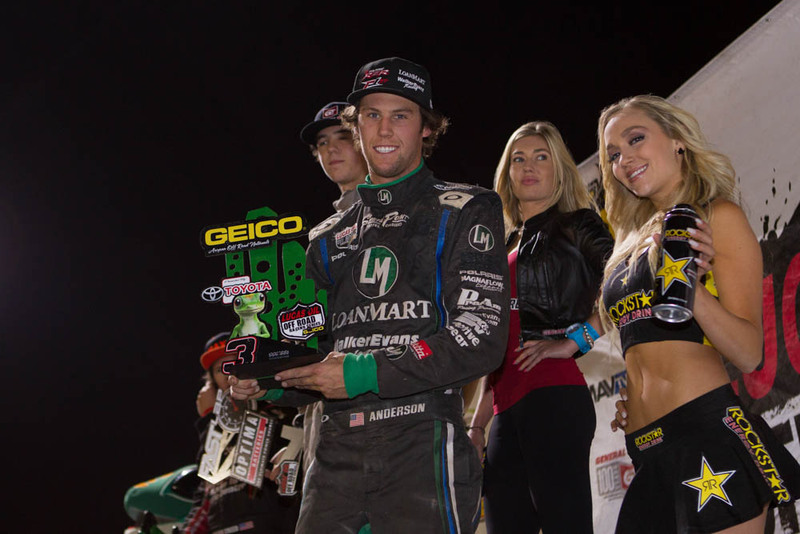 RJ impressed at Rounds 1 & 2 in Lake Elsinore, showing he had the speed and grit to move the #37 to the front of the pack. Rounds 3 & 4 would be the teams chance to back up the performance and anything short of a podium would be a failure in the teams mind. RJ would again start near the front and for the bulk of the race he would stay up there running in 3rd and battling for the top positions. Despite some hard banging and at one point being forced off the track taking out signage, RJ would hang on for a respectable 4th place finish. He would finish the race as the 3rd fastest truck on time, proving once again he was moving in the right direction. On Saturday the weather would cooperate allowing for teams to practice and qualify. RJ despite breaking during his qualifying run in Pro-Lite would still lay down a lap time that was good enough to keep him in the top 5. The truck was quickly repaired and readied for the evenings festivities. With the checkered flag waiving RJ would rocket the #37 Pro-Lite into the top 3 where he would remain. A lost oil line caused signs of engine failure and with every pass down the home stretch you could see fire brewing under the hood of the #37. With a late caution it would be unclear whether or not the engine would hold up. As the race resumed the dash would light up with warning lights all over it and with only 3lbs of oil pressure remaining RJ would cross the finish line retaining the 3rd position resulting in his only podium of the weekend and his 3rd podium in Pro-Lite on the season. Filled with confidence RJ would fire up the #37 Pro2 for battle. With winds and rain threatening, RJ would line up on the pole after qualifying 2nd earlier in the day. He and Patrick Clark would quickly engage in a battle for 1st as the green flag waived. 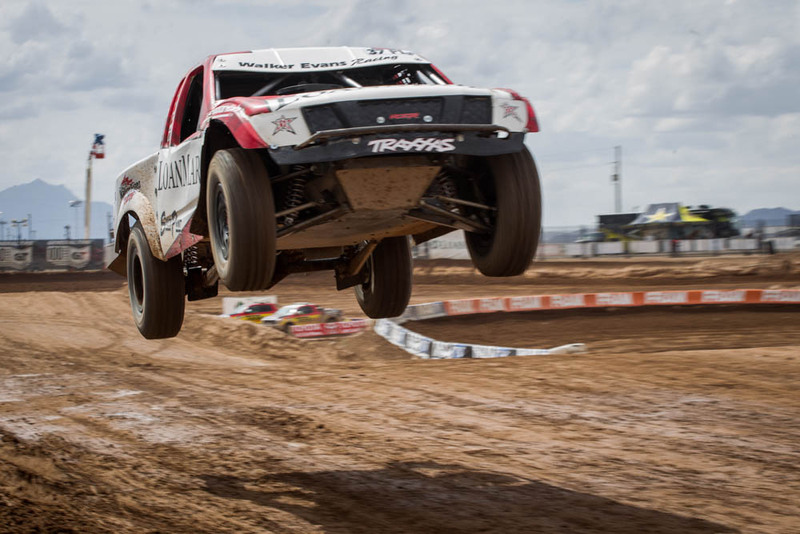 Unfortunately for RJ and the RJ37 team, the battle for first would quickly turn into a slow drive to the pits as a power steering pump would implode and end the weekend and any hopes of his first podium finish in Pro2 for 2015. Despite the #37’s early retirement for the night, the team pulled out of Chandler, AZ already setting sites on Lake Elsinore, CA in late May. RJ would like to thank all of the friends, family and teammates who came out to Arizona to support the RJ37 team this last weekend. He would also like to extend gratitude towards all of the RJ37 sponsors who help make all of this possible. A special thank you goes to the Active Screenprinting team for all of their amazing hospitality once again. 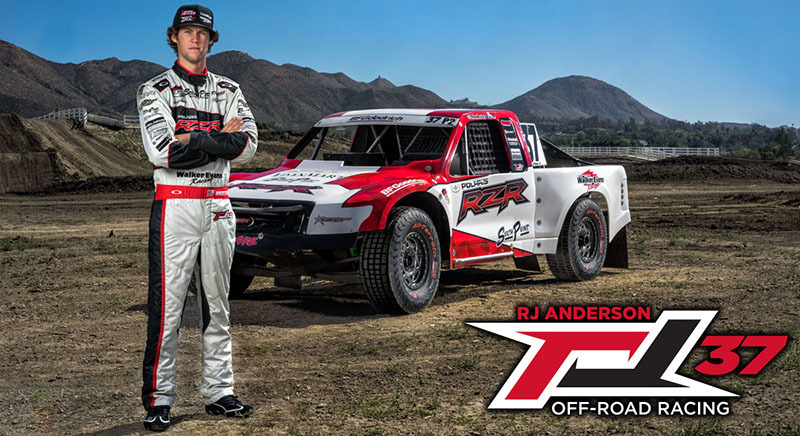 On behalf of RJ and the RJ37 team, we look forward to seeing all of you May 30-31 in Lake Elsinore, CA!